The term ‘hip pain’ can be somewhat confusing as a lot of individuals tend to assume that the pain will emanate from directly above the hip. However, in most cases, the pain is felt around the middle part of the thigh or around the groin region. Any pain experienced around the hip region could also be something amiss around your back. The hip joint has a very complex structure to help it perform various tasks throughout the day. The hip joint is the primary connection linking the torso of the body to the leg, through a sturdy swivel socket where the head of the thighbone locks. The complexities of the structure increase the number of parts that could be the primary cause of any hip pain you experience. Trauma is also one of the common causes of a sudden onset of hip pain as a sharp, violent jolt, or shock to the region could always interfere with the alignment of the bone structure. Very violent injuries to the area could also result in the fracture of the bone. Just so you know, you can prevent joint fractures from aggravating by using a joint supplement. Joint supplements contain pain relief ingredients which target the root cause of pain so as to eliminate it completely. What are the Signs and Symptoms Associated With Hip Pain? As with any injury to the body the pain and discomfort that a person experiences will help decide the seriousness of the injury. Doctors will gauge the seriousness of the injury by looking at the symptoms a patient may experience before, during, and after certain physical activities. Limping – The individual limps because the body tries to compensate for any damage to the hip region by minimizing the amount of weight applied to that area. The individual experiences sciatica pain. This pain generally starts from the back area and radiates through the buttocks, as a result of nerve inflammation in the region. The individual also experiences inflammation of muscular structure – as a result of stress injuries in the region. The best treatment options available for hip pain will depend substantially on the factors causing the problem, as well as the amount of pain that the individual is experiencing. As with any kind of medical discomfort, proper diagnosis is important for correct treatment as well as to make sure that the issue is treated and not merely the symptoms. When it comes to strains and sprains around the region, enough rest has to be given to the hip region. Physiotherapy is also essential to get back the original strength and durability of the muscles and bones. You may also consider Relief Factor which helps to get relief from joint pain. When to Contact Your Doctor About Your Hip Pain? As with most injuries, a small amount of pain will generally lead a person to believe that the problem might not be too serious. However, after a few days of rest, if the pain still exists, it is highly recommended that you visit your family doctor to have a closer look. Chronic bouts of pain are indicative of serious underlying issues. Faster the diagnosis is made, the faster the treatment can commence. US Health Institute experts say that hip pain is the result of a number of consequences, and identifying the right one is of prime importance. What is undeniable is the fact that hip pain, depending on its severity, can significantly affect the quality of an individual’s life. Increasing age will make the bone structure more brittle as well as allow other underlying conditions like arthritis, sciatica, and even bone cancer, to develop. So, tests must be performed to weed out the problems. Younger individuals are more likely to suffer from hip pain as a result of trauma to the region or incorrect posture during movement. Muscle spasms and inflamed nerves can cause serious pain and discomfort and should not be tolerated for too long before visiting a medical practitioner. However, the hip-pain will always persist if not treated properly. 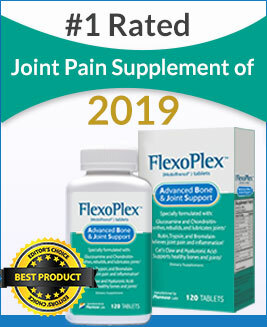 You should take a look at Instaflex Advanced Joint Support review to get rid of the hip pain forever.